Take your projects to the next level and make your ideas come to life. Make your deadlines, run successful projects, and collaborate on everything—whether you're working with sales leads, support issues, or projects. Accelo’s got your back. Assign a task to your team or collaborate with another team member to finalize the task together, making it easy for you and your team to collaborate on various tasks within a project together. Attach files to tasks, issues or projects by uploading a file from your device or dragging and dropping it from Google Drive, Box, Evernote, and Dropbox. Easily, share, find and work on current documents together. You can take a photo or record a video, then attach it to the related client record, a great way for teams to provide updates on a project or sale, especially when working remotely. A central database of all your clients for all your team members to access using information from your email, address books, and calendar (from Google, Office 365, or Exchange). 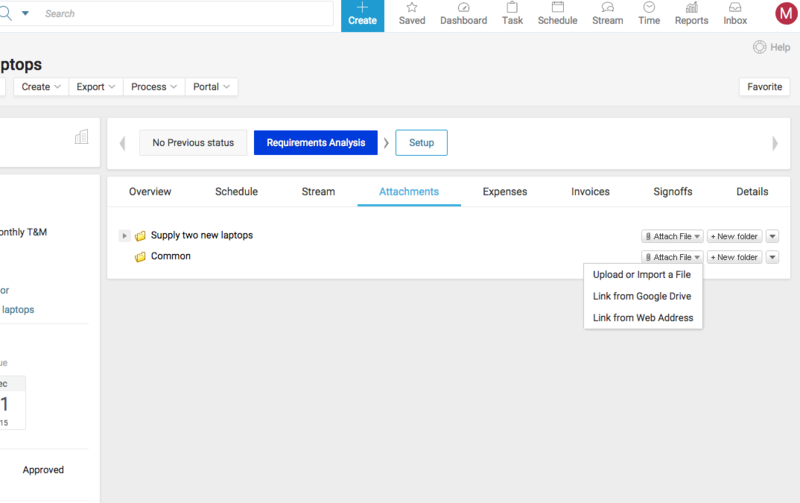 Each client gets its own activity stream, and incoming messages are automatically imported into the tool, making it easy for everyone in your team to know exactly what’s going on at all times. 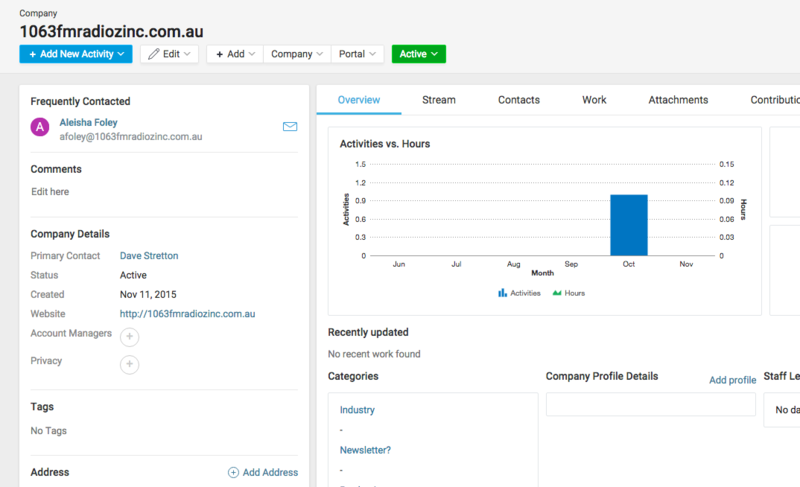 You get the unique ability to automatically capture, sort and index client emails, and get a searchable, filterable listing of all client-related conversations. 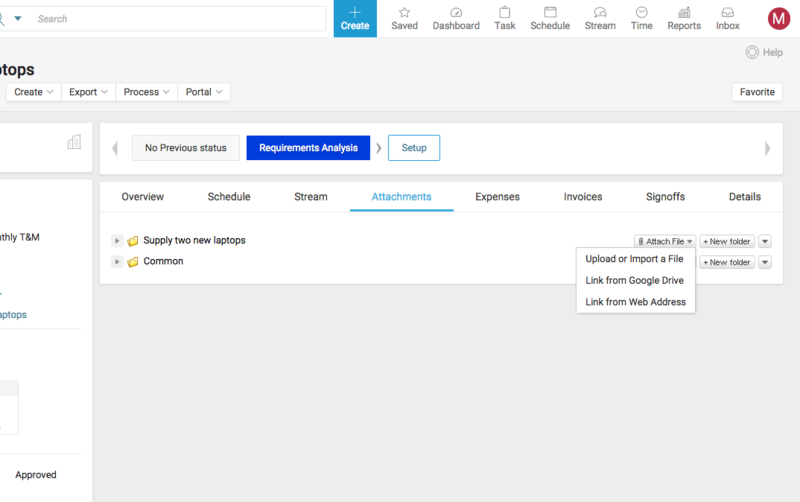 This feature is especially useful for managers looking to stay informed of the status of projects and users whom they manage. A single place for shared tasks, discussions and files. 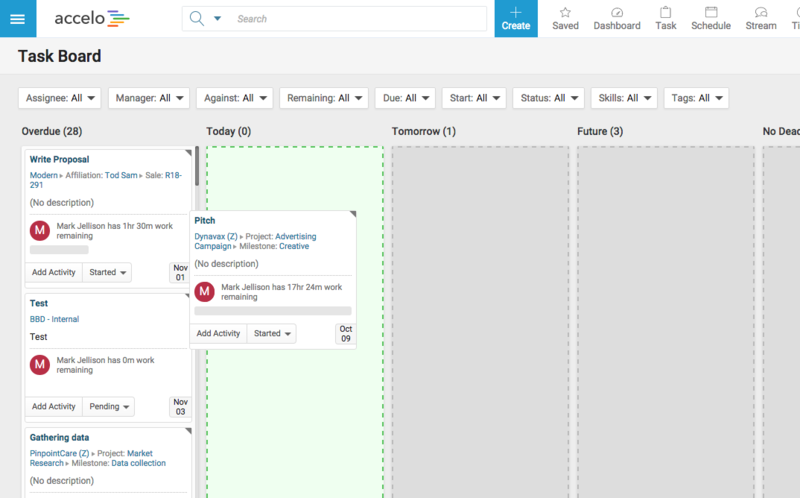 Easily organize teams and projects. 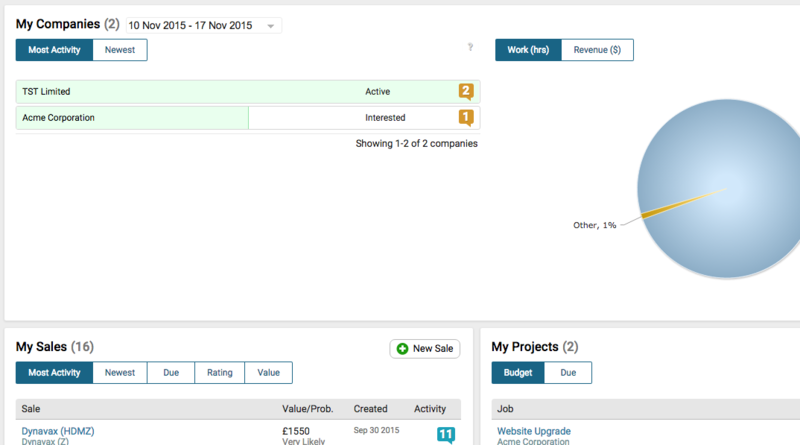 Instantly see progress and milestones with a workload view and calendars. 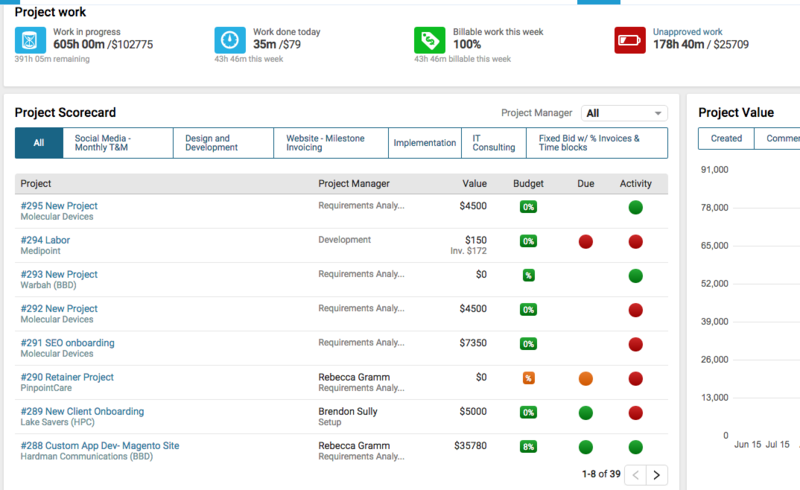 This gives your team the tools they need to manage every project, task, issue or contract together. 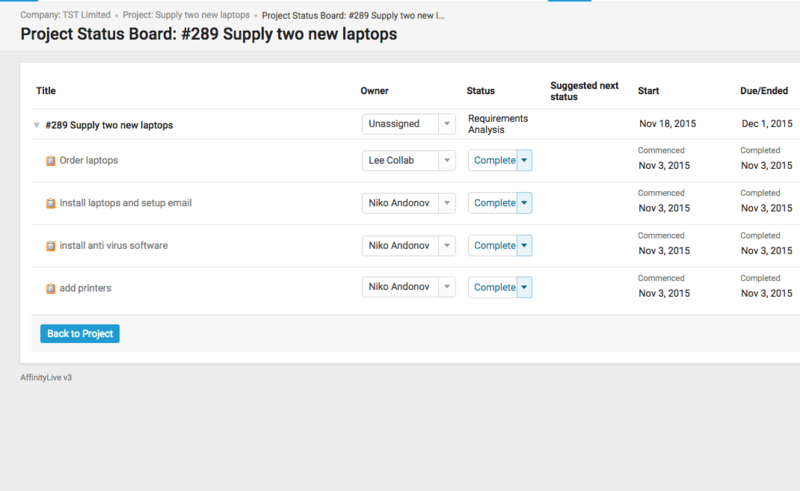 This allows you to easily view all of your team tasks, as well as their corresponding statuses,a useful resource allowing users to see what tasks they have been assigned and what everyone else is working on. Work with teams, clients, and external partners across the globe. Gathering and compiling everyone's feedback has never been easier. Everyone gets updates in real-time! Accelo is an all-in-one tool that gives you the visibility and insight you need to work with freelancers, clients, and staff worldwide. Share the progress of your projects with your clients through the client portal, an easy way for you to start collaborating with your clients. There, they can review work, add comments, and approve tasks.